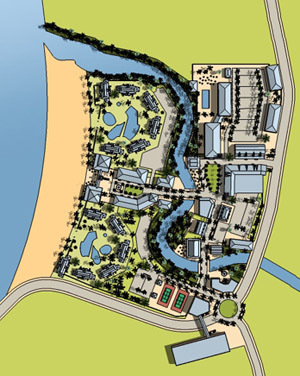 Located along a major island highway, with beach frontage, this mixed-use waterfront development design proposal reflects the client’s design brief for a commercial project which creates an internal network of small-scale, walkable streets lined with small shops, parks and plazas, while still fronting the highway in a more conventional fashion. 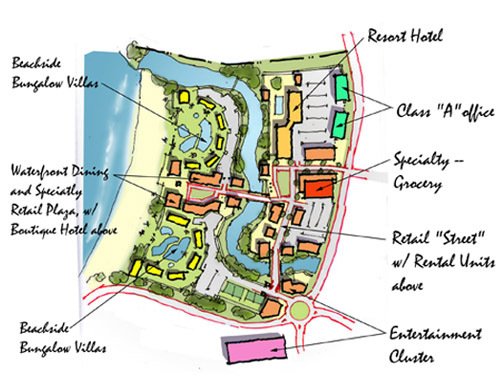 The project scope included producing a preliminary market study and recommended tenant mix, which was then translated into a conceptual master plan and illustrative massing study. 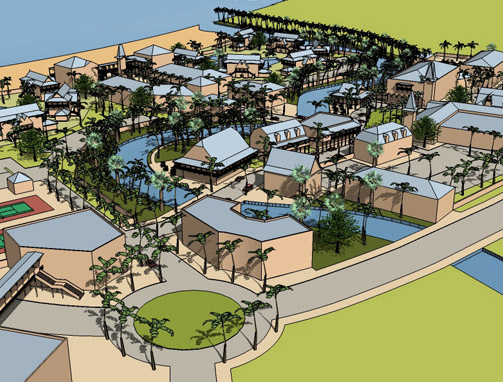 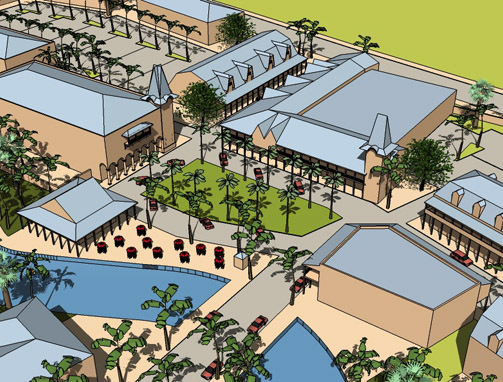 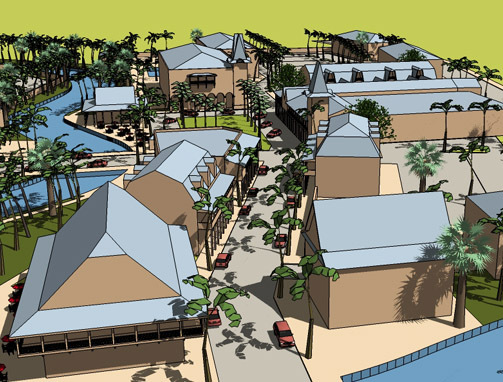 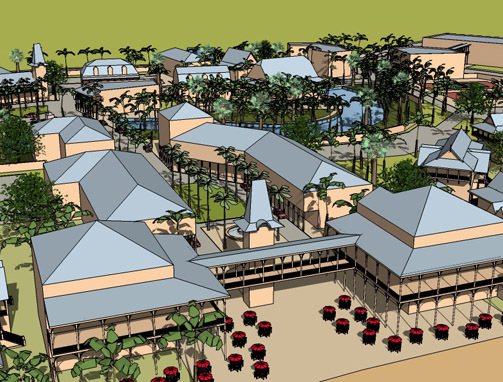 The Anglo-Caribbean style commercial center also serves to frame the gateway across an existing tidal lagoon to access the project’s two beachfront residential compounds, flanking either side of a dining and entertainment pavilion, which – along with a gourmet grocer -- anchors the Village Center.